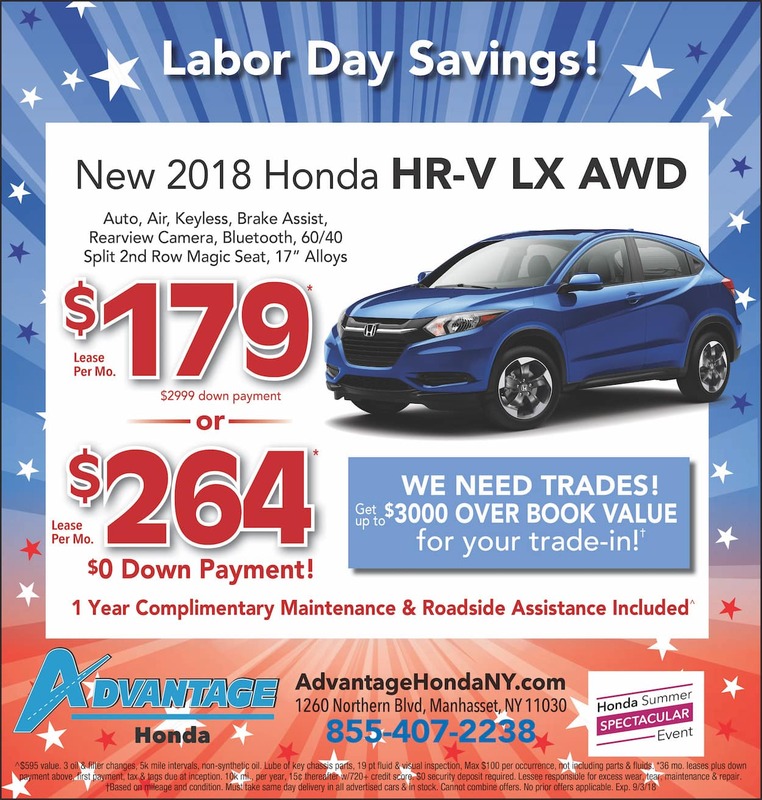 Whether you’re from Manhasset, Glen Head, Queens, Great Neck or anywhere in between, you can rest assured that when you shop for a Honda HR-V Lease Deal, you’re shopping for quality and reliability, no matter which model appeals to you. We know all of the ins and outs of finding quality financing solutions, and that means you can spend less time going over paperwork and more time enjoying your new car. Ask about our 1-year complimentary maintenance and roadside assistance. When you can come to Advantage Honda, you can have your Honda wishes granted. And let’s face it, you deserve nothing less. Located on 1260 Northern Blvd. in Manhasset, NY, we know our job isn’t finished until you’re completely satisfied. Thank you for your business!